The Sunday of All Saints of North America is always the Sunday following All Saints, which is the second Sunday after Pentecost. Sat. June 9, 6:00pm - Great Vespers — This evening service features special hymns recounting the lives and unique features of those saints who have shown forth in America, both those known to us, and those known only to God. This popular section features links to outstanding resources on numerous saints and righteous ones. 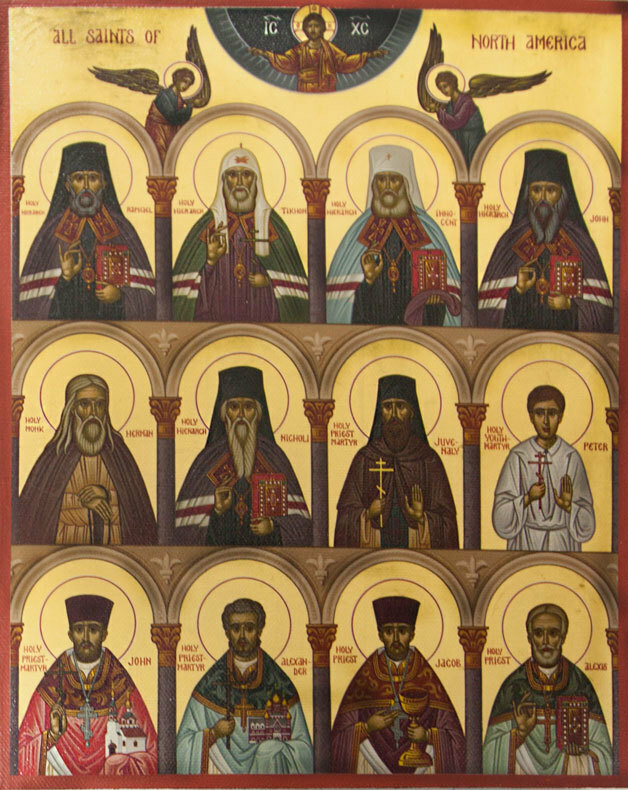 Watch for ongoing updates as we commemorate our beloved pastors, archpastors and defenders of Orthodoxy who have shown forth in North America! This extensive collection of resources on our beloved St Herman gathers excerpts of his spirituality and teachings, articles, suggested books, icons, video, audio, Alaskan pilgrimage information and much, much more. 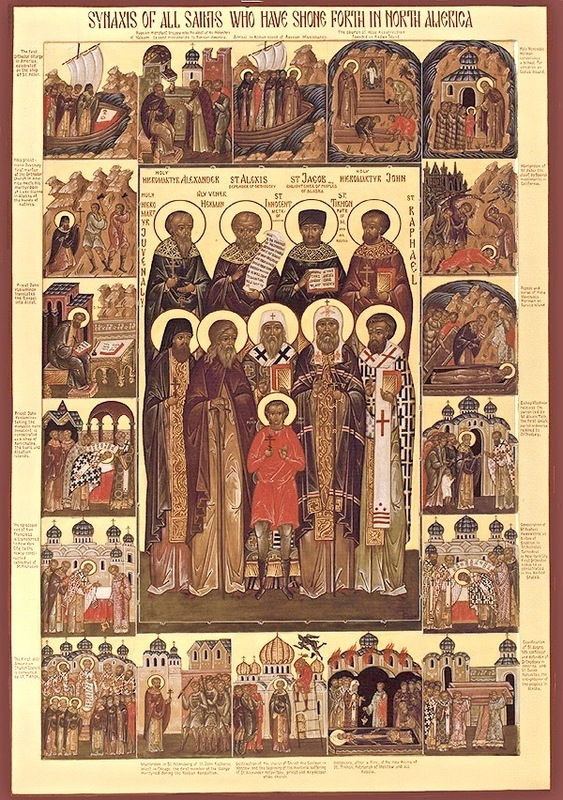 Launched in 2010, in commemoration of the 40th anniversary of the glorification of St Herman, with extensive updates in 2013. Featuring his Life, articles and sermons by and about St John, suggested books, video, plus a first-hand account of the revesting of his relics in 2011, this is an extensive collection of resources on this much-loved saint, a portion of whose relics was gifted to our parish. All Saints of North America, pray to God for us! ...its history, lives of saints and righteous ones, writings, and articles about the unique challenges facing us as Orthodox Christians living and struggling in American society and culture. Synaxis of the Saints of North America (oca.org) - An brief but excellent survey of many of the Saints who have shown forth in North America. Orthodox Christians in North America, 1794-1994 (oca.org) - This now classic narrative history, written for the Bicentennial of Orthodoxy in North America by Mark Stokoe and Fr. 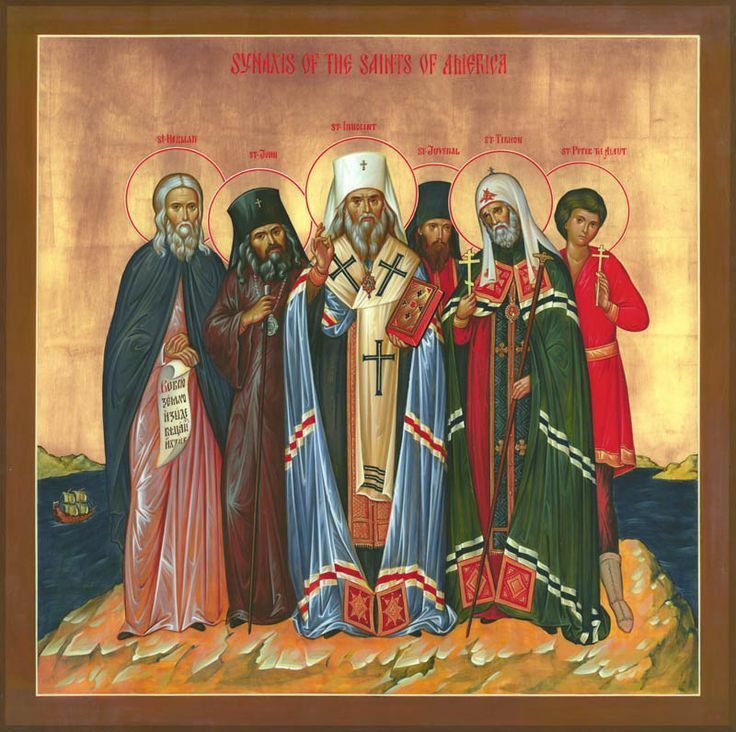 Leonid Kishkovsky, traces the spread of Orthodoxy from the humble monastic missionaries (including St Herman of Alaska and the Monk-Martyr Juvenaly) of 1794 to the immigrant faithful from the traditional Orthodox lands, up through the twentieth century. Online version features easy to navigate table of contents with chapter links. 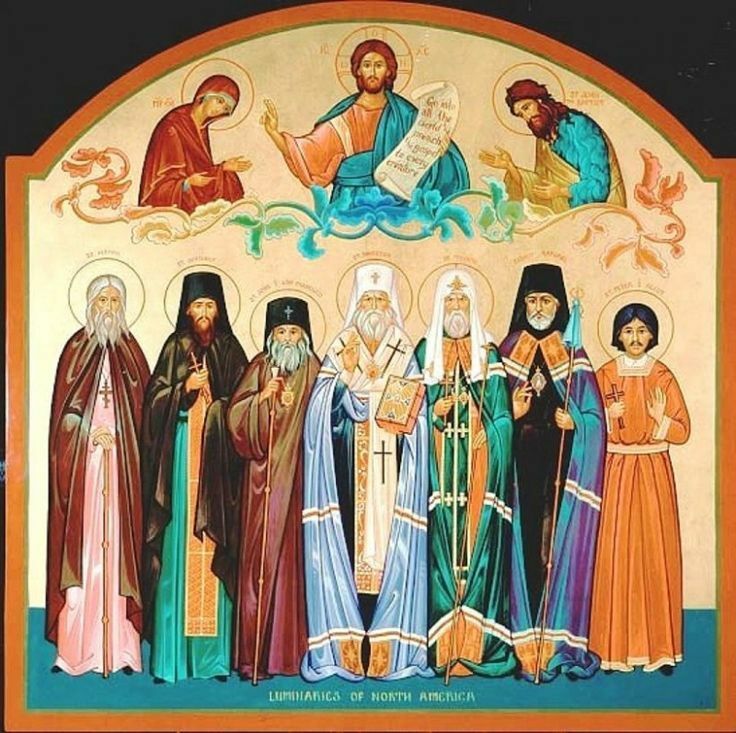 All The Saints of North America (asna.ca) - An outstanding library of links from All Saints of North America Orthodox Church (OCA) in Hamilton, Ontario, featuring all the OCA resources (lives, icons, troparia), plus many additional articles about and by these holy saints and righteous ones. Orthodoxy in America (orthodoxinfo.com) - This unique offering features nearly two dozen articles by revered Orthodox writers such as St. Nikolai Velimirovich, Fr. Alexander Schmemann, Fr. Sebastian Dabovich, Archbishop Chrysostomos of Etna CA, Hieromonk Seraphim Rose and others. The common thread is how best to rise to the challenge of living an authentic Orthodox Way of Life in our contemporary American culture and society. 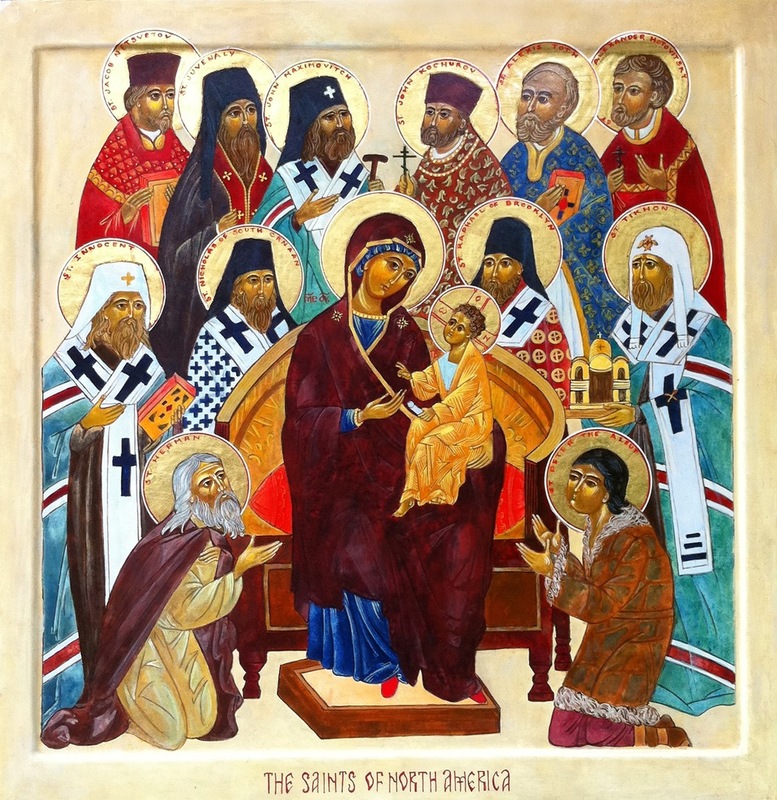 Homily for the Sunday of All Saints of North America 2010, by Hieroschemamonk Ambrose (formerly Fr Alexey Young) - in PDF format - A stirring call to strive for sanctity, for sainthood, to honor the North American Saints by following Christ.